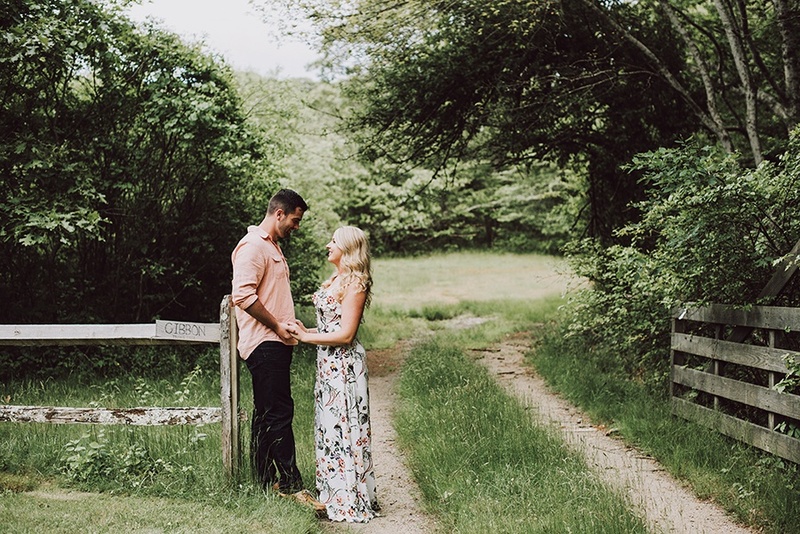 By Shaula Clark, Michele Snow, Andrea Timpano, Alene Bouranova, Abby Bielagus, and Michaela Quigley·	 6/12/2018, 10:22 p.m.
Saying “yes” to the love of your life was easy. Embarking on wedding planning? A little bit harder. Fear not: Packed with everything from the most impressive local venues to the talented pros who’ll help you bring your vision to life, our annual guide to the region’s need-to-know vendors awaits. 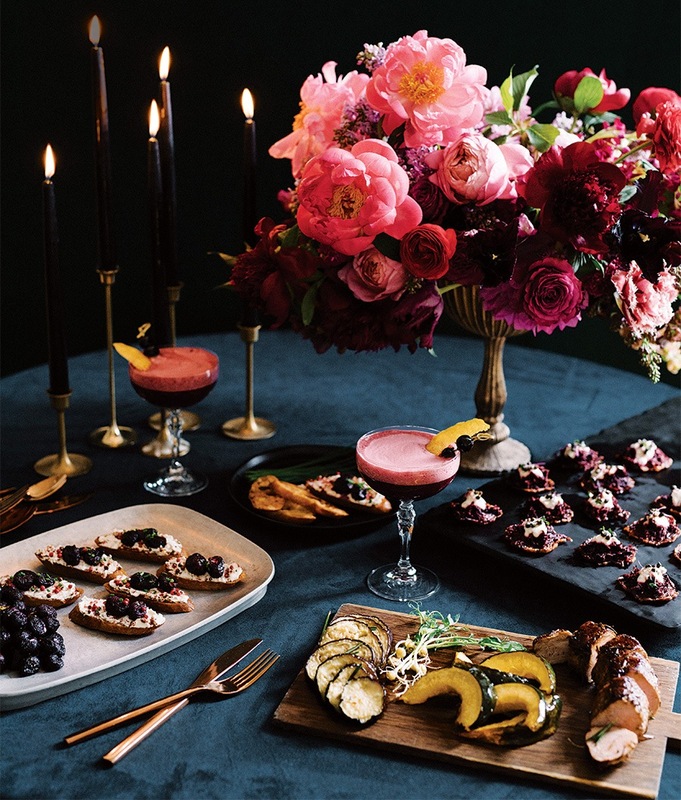 Crostini with pink-pepper goat cheese and roasted grapes, beet latkes with lemon cream and fried capers, and apple-cider-glazed rosemary pork loin with roasted acorn squash and eggplant, all Chive Events. Gin cocktail with chartreuse, pomegranate, and lemon, Hive Events. “Largo” glass champagne saucer, “Arezzo” rose-gold flatware, faux-slate platter, and “Montana” suede tablecloth, all Peak Event Services. 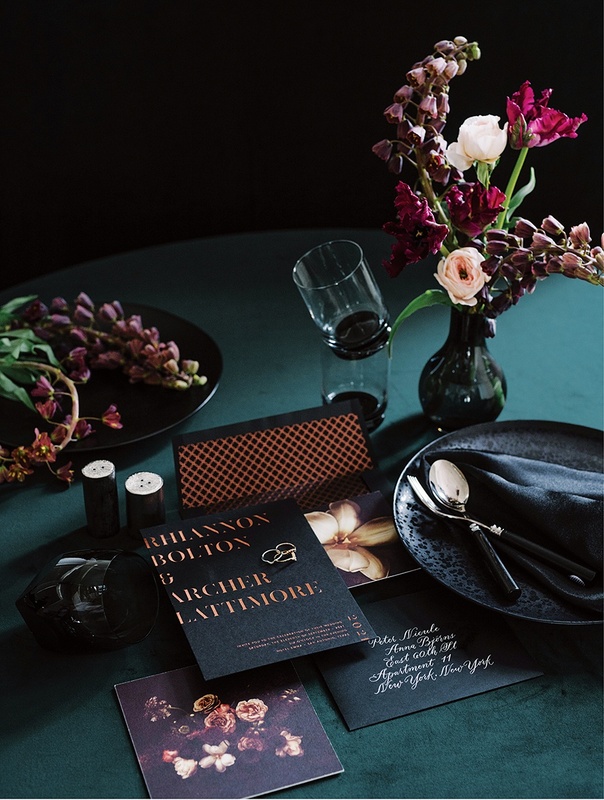 Natalie Pinney and Moira Thompson may have started their aptly named wedding-planning firm on a whim, but the dynamic duo is all business when it comes to coordinating and executing the details of their luxe celebrations. Recently narrowing their focus to just 10 weddings per year, the business partners lend their design savvy and exceptional taste to all aspects of event production, dreaming up fairy-tale parties with elegant signage, Insta-worthy tablescapes, and killer floral arrangements. Want a classic chignon with loose, perfectly curled tendrils? Or how about soft waves that’ll hold their shape from ceremony to reception? Demiche’s team of stylists, led by owner Michelle DeVoe, specializes in elegant, swept-back looks that perfectly frame and highlight your features (cue selfie here). And with a flair for constructing braided bridesmaid styles, Demiche has your A-team covered, too. 7 Lincoln St., Wakefield, 781-662-1796, demiche.com. 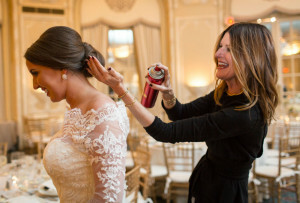 Maryelle O’Rourke and her team of artists are pros at making brides “I woke up like this” beautiful, traveling to venues in Boston and beyond to give you and yours perfectly dewy skin and fluttery lashes. For proof, take a look at the company’s roster of celebrity clients, which include Her Royal Highness Meghan Markle and Westworld’s Shannon Woodward. Get ready to look like you, just with a little extra glow. There’s no better way to preserve your day for posterity than through Elizabeth LaDuca’s mix of digital and film camera work. This talented photographer has a knack for making even a dreary day seem ethereal and dreamlike. Each of her shots—from the smallest details to the widest landscapes, and all the candid moments in between—seems to glow with a delightful halo of love and light. LaDuca’s organizational skills and experience will keep your event on schedule, but it’s the visual legacy of your special day that will benefit most from her keen eye. 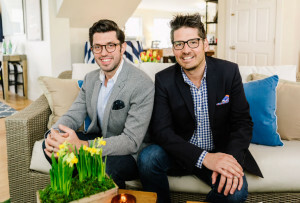 Ask any newlywed couple about their wedding, and you’ll hear a familiar lament: “It was over in a flash.” You can’t stop time—but you can enlist Marcella Hoekstra, owner of Heirloom Pictures, to help make the magic last. With more than a decade of video experience, the RISD grad excels at capturing the moments that mean the most (your heartfelt vows, the hug you gave your maid of honor), editing up to nine hours of crystal-clear footage into a 10-minute highlight film you’ll actually want to watch year after year. 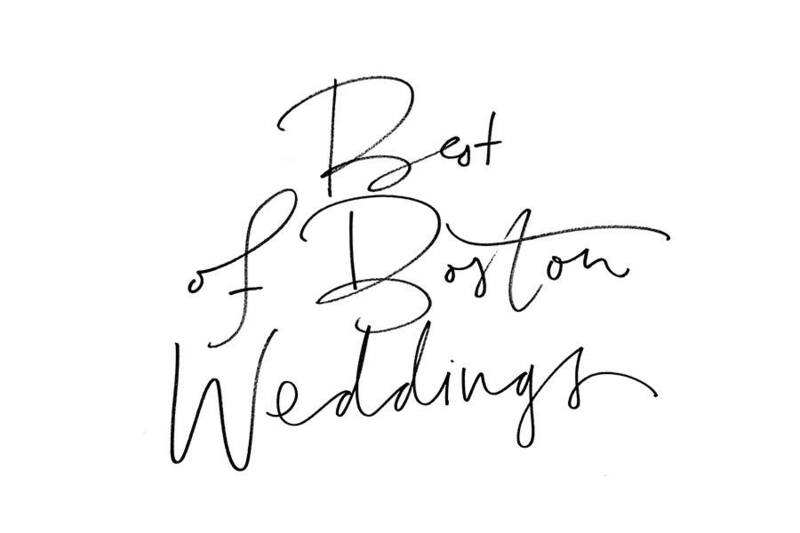 In the last year alone, Pollen Floral Design owner Krissy Price has dreamed up flower-forward masterpieces for a distillery engagement party, a winter restaurant wedding, seaside nuptials on the Cape and the South Coast, plus a host of celebrations at the Boston Public Library. A veritable one-woman show, she’s as comfortable working in moody jewel tones as she is in pastels. 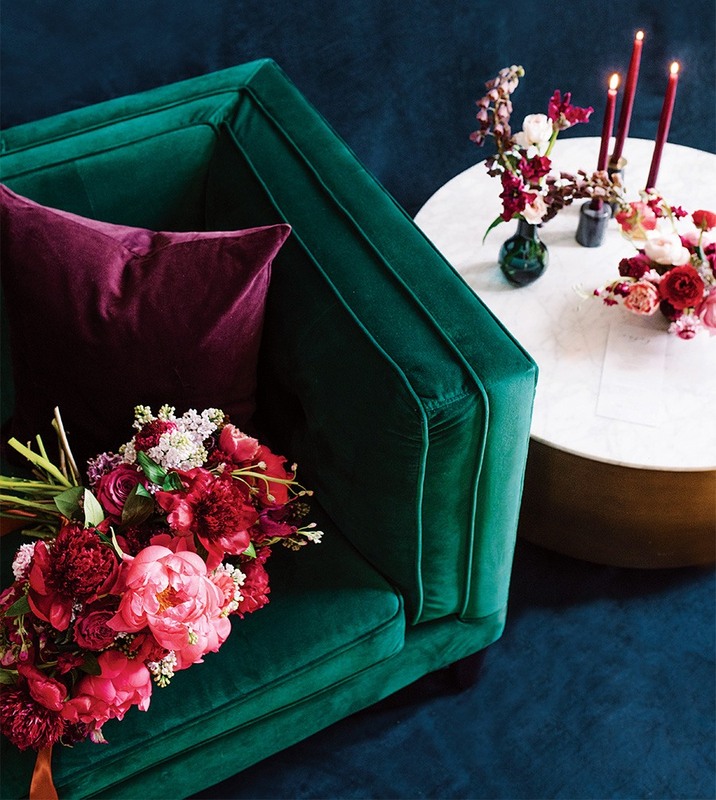 Price gives big, beautiful blooms the starring role in every arrangement she crafts, whether it be a custom installation, a free-flowing bouquet, or a color-packed centerpiece. Let Chive show you the savory side of eating clean. Drawing from an arsenal of locally sourced produce, the Beverly-based caterer whips up such mouthwatering dishes as apple-and-wine-braised short ribs and decadent cocoa-caramel cream puffs. Need another reason to book? To avoid wasting food, Chive delivers leftovers (up to 3,000 pounds per season) to local composting businesses. Virtue never tasted so good. 30 Rantoul St., Beverly, 978-969-3316, chiveevents.com. Cake by Jenny’s Wedding Cakes. “Montana” suede tablecloth and “Heirloom” charger, both Peak Event Services. You won’t find any rainbow-hued cakes in Jenny Williamson’s portfolio—and that’s on purpose. The Amesbury baker takes a more refined approach, lending her elegant, pared-down aesthetic to made-to-order confections almost too pretty to eat. Her penchant for art shines through in meticulously crafted florals and ruffles, while her 20-plus years of baking translates to perfected flavors. 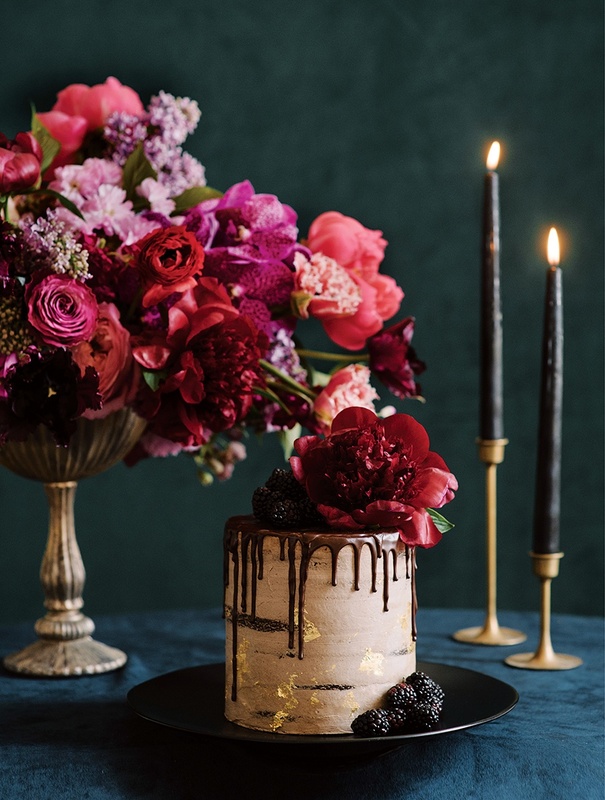 Whether you choose a cake filled with strawberry-champagne buttercream or layered with chocolate ganache and brushed with gold, Jenny’s Wedding Cakes hits the (sweet) spot. It doesn’t get much cooler than throwing back an Old Fashioned while lounging in a 1983 Airstream. Let the team from Hive Events curate (or create) the perfect beverage selection for your wedding and then bring it to sweet, sippable life in one of their retro trailers, which they’ll park outside your venue. Posh glamping tents offer additional, highly ’gram-able space for relaxing and imbibing. Good luck getting your guests to leave after last call. If you’re in need of a band whose unstoppable energy can get even the most reserved guests out on the dance floor, do yourself a favor and hire Hot Mess. Formed in 2010, this seven-person group performs the hell out of soul, rock, and pop standards (think: “Shout” all the way to “Just a Friend”), yet can slow-jam with the best of them (think: Mariah Carey anything). No matter what’s on your song list, Hot Mess delivers—and then some. White Label DJs have been around the block. Pulling its talent from the hottest venues in town—Middlesex, Royale, the Middle East, and countless others—the company ensures a roster of professionals who can slay a turntable, no matter the occasion. Need a cocktail hour mix that’s upbeat, but not too dance-y? Or how about a series of ’90s throwbacks to keep the crowd going late into the night? Chances are, White Label’s got a playlist at the ready. 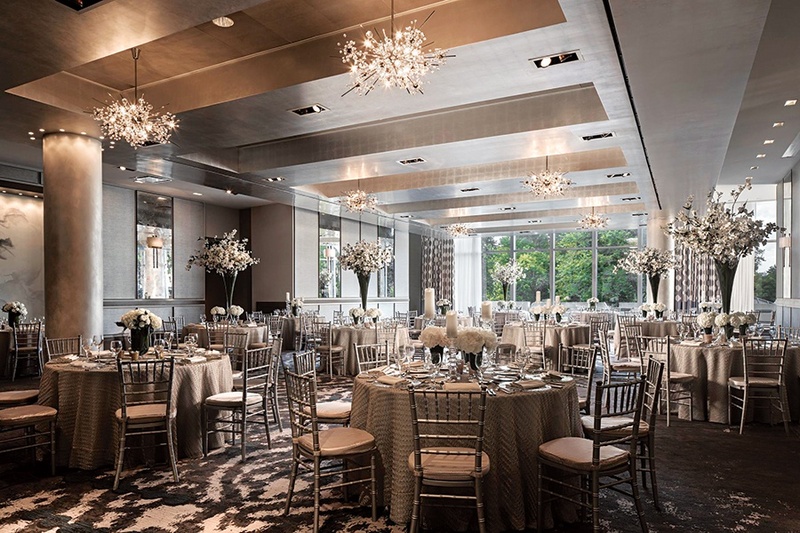 As part of a dramatic 2017 renovation, the legendary hotelier has elevated its 3,500-square-foot ballroom to even greater heights of opulence. 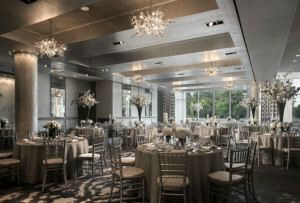 Think: a dazzling backdrop of platinum-leafed wallpaper, antiqued mirrors, a lavish custom-painted mural by Moss & Lam—and, in the center of it all, you and your beloved twirling blissfully to your first dance. 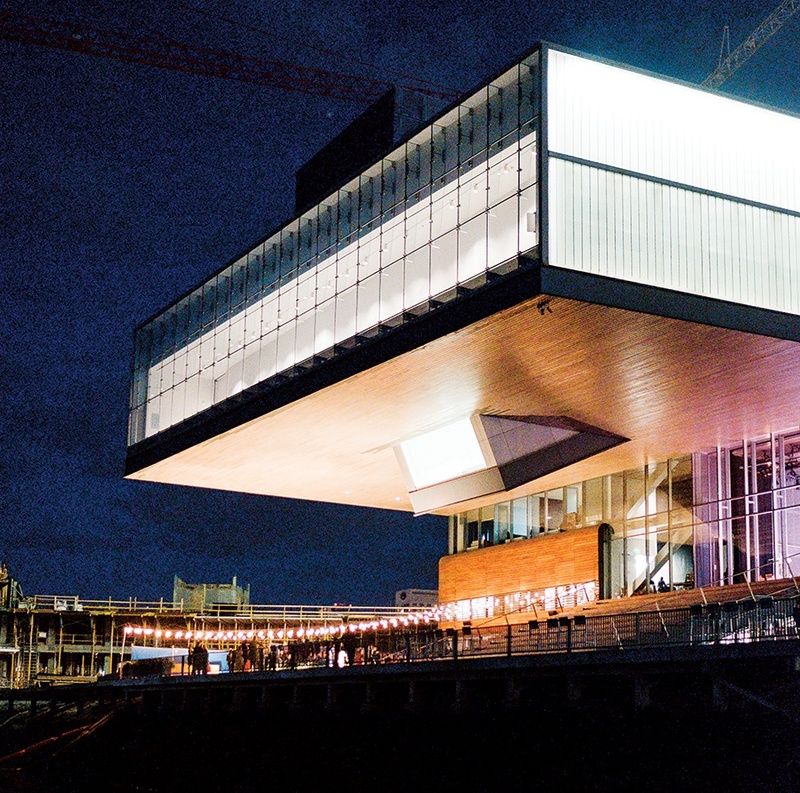 A gleaming temple of artistic achievement, the ICA is filled with modern masterpieces. And your wedding can be one of them. Between the harbor views and the large-scale works adorning the gallery’s walls, visual splendor abounds—as do options for using the space, which includes a waterfront plaza, a light-flooded lobby, and a roomy theater. 25 Harbor Shore Dr., Boston, 617-478-3100, icaboston.org. For those who prefer to color outside the lines, this vast venue provides the ultimate blank canvas. And the EpiCenter is about to get even more epic—this fall, the AFH unveils a revamped 5,000-square-foot event space. Walls are no obstacle here: Just raise the floor-to-ceiling garage-style door to let your soiree flow seamlessly into the landscaped courtyard. 100 West Second St., Boston, 617-268-7620, afhboston.org. 719 Cabot St., Beverly, 781-221-4811, estateatmorainefarm.com. Take a preemptive approach to wedding stress at the Cranwell, where you can trip the light fantastic in a freshly renovated ballroom or host your fete on the resort’s front lawn, surrounded by the glorious Berkshire Hills. After all, you’ll already be at the site of a world-class spa (post-reception Swedish massage, anyone?). Better still: Wedding guests enjoy special room rates, while newlyweds receive a complimentary suite. 55 Lee Rd., Lenox, 413-637-1364, cranwell.com. 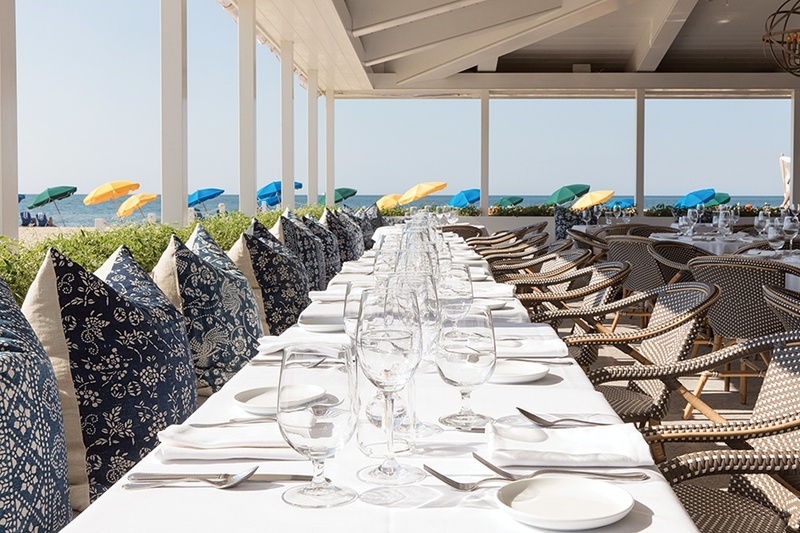 Even in tony Chatham, this vast resort (a summer playground for the likes of royalty and Rockefellers since 1914) stands out for its seaside grandeur. 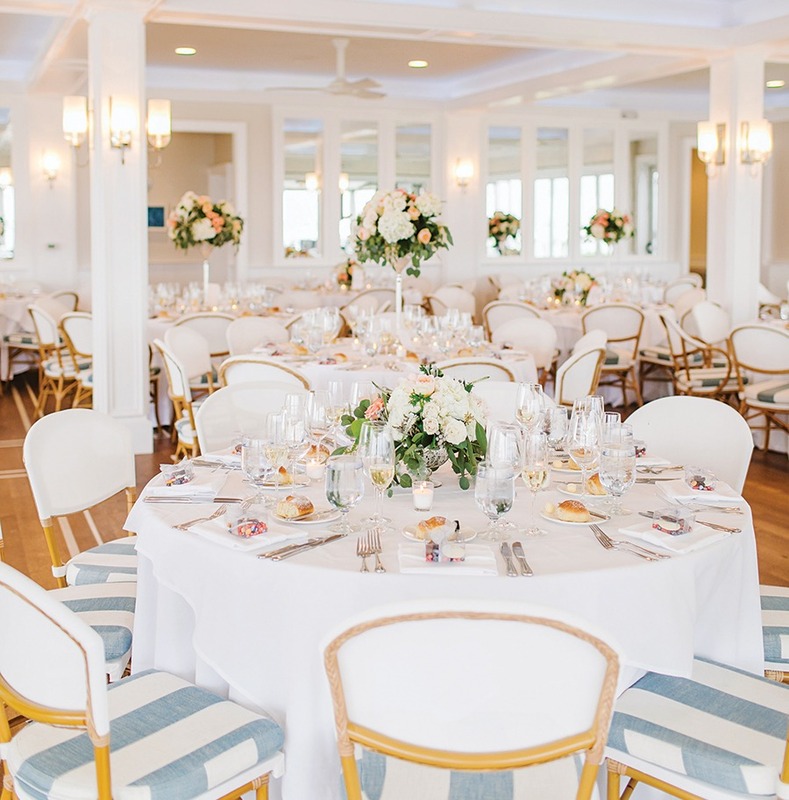 Here, a wedding means exchanging vows to a soundtrack of crashing waves, watching the sun set during a clambake, and sipping cocktails while drinking in views of Pleasant Bay—in other words, it’s all about reveling in the kind of romance that can’t be found anywhere but down the Cape. 297 Shore Rd., Chatham, 508-945-0096, chathambarsinn.com. Country elegance meets secluded island getaway at this woodsy retreat, a converted 1790 farmhouse in Vineyard Haven. 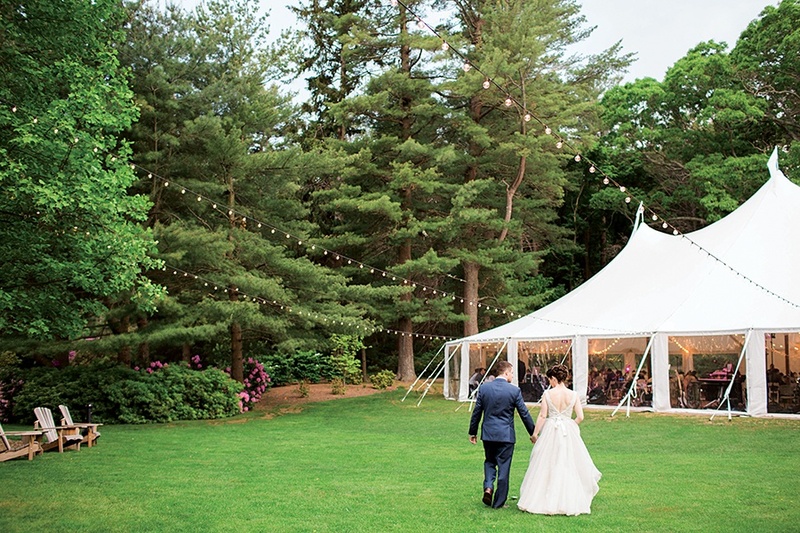 As staff set up for the event, watch in awe as the sun-dappled lawn transforms into the best kind of ballroom: the kind where you can romp barefoot through the grass, if the mood strikes. With new management at the helm, the inn plans to add an open-air barn—taking the rustic-chic factor to a whole new level. 90 Manaquayak Rd., Vineyard Haven, 508-693-2298, lambertscoveinn.com. 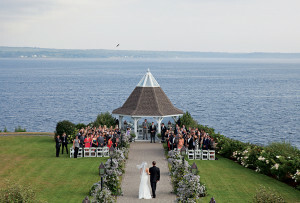 Locals grow up dreaming about one day tying the knot at this iconic spot. In its 60 years in business, the Galley has evolved from a humble clam shack into a dining destination for vacationing celebs. But there’s only one star that truly matters: the sun. Here, set against a limitless view of Nantucket Sound, the dazzling sunsets make for extraordinary photo ops. 54 Jefferson Ave., Nantucket, 508-228-9641, galleybeach.net. “Marquise Flower” 14-karat-white-gold ring with diamonds; Jade Trau “Clara,” “Kismet,” and “Mabel” 18-karat-yellow-gold rings with diamonds, all M. Flynn. Sara Gabriel “Alex” hairpins with Swarovski crystals, Erin Cole earrings with Swarovski crystals, Haute Bride 12-karat-gold bracelet with Swarovski crystals, and Untamed Petals “Remy” brushed-gold hairpiece and “Sage” silver-and-gold headpiece, all Allegria Bridal. This airy Newbury Street shop is as timeless as its gowns. The designer selection reads like a Fashion Week invite list: Oscar de la Renta, Carolina Herrera, Elie Saab, Monique Lhuillier….need we go on? And the service, of course, is impeccable, with onsite consultants and tailors ready to outfit you to full elegance. If taste and glamour are at the top of your list, let L’élite exceed even your highest expectations. This celebrated Newbury Street boutique wants bridesmaids not only to love their dresses, but to be able to wear them again (and again). And their covetable stock of sophisticated designs from favorites such as Theia and Jenny Yoo makes it almost too easy to check both boxes: Brides can rest easy knowing that ’maids can rock their drop-shouldered or open-backed numbers at any event—be it the wedding ceremony, a dinner date, or a charity gala. Your wedding day is no time to be stingy with accessories. 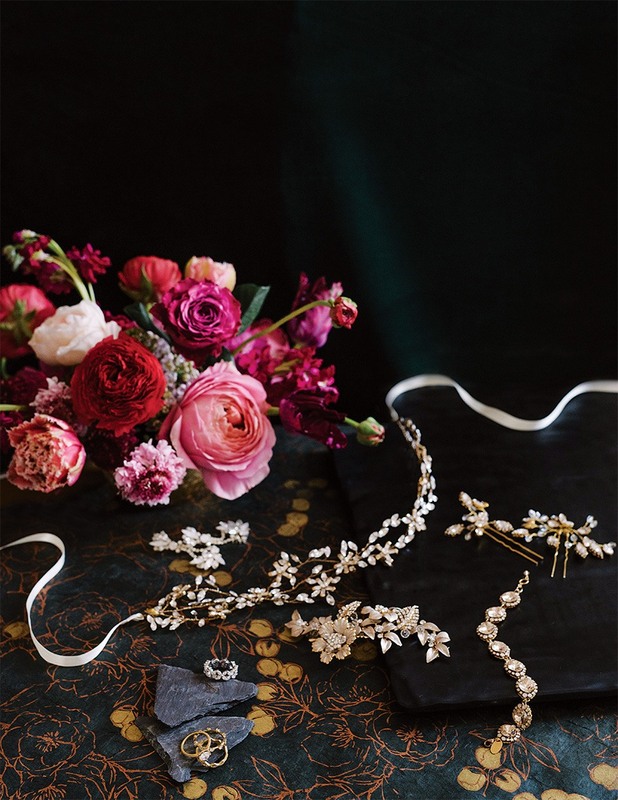 Pile on the bling with help from Allegria, where you’ll find luxe jeweled headpieces, haute silk ribbons, and bedazzled sashes for a touch of sparkle. Just make sure you call ahead: The boutique—as inviting as its inventory, with delicate chandeliers and hardwood floors—is appointment-only. This Harvard Square mainstay has everything a bride needs for her big day and night: kimono robes for getting ready, longline bras for extra support, and silky babydolls for cozying up. Want to have a little fun with your “something blue”? We suggest Mimi Holliday’s “Cosmo Pop” collection—or a bit of lace from Cosabella. 56 JFK St., Cambridge, 617-492-9100, shopfortywinks.com. Make no mistake, fellas: Your strut down the aisle is just as important as any bride’s. At 9Tailors, custom-suiting gurus will help you create an ensemble worthy of your big moment, walking you through myriad design options to make sure your getup matches both your style and your shindig. Is the ceremony outside in summer? Lightweight fabrics only. Love to dance? Nix the skinny fit. No suit off the rack will ask you these questions. A single Akoya pearl bordered by pavé diamonds. A vintage solitaire set gracefully on a band of 14-karat white gold. A trio of emerald-cut sapphires, azure as the ocean blue. Whatever your style, you’ll find the diverse selection at this Prudential Center standout sparkles. Choose from a range of modern and traditional jewels by the likes of Mikimoto, Henri Daussi, and Simon G.
Prudential Center, Boston, 617-262-0935, sidneythomas.com. Megan and Moria Flynn—the M’s behind South End jewelers M. Flynn—make easy work of finding the perfect wedding band, thanks to their tastefully curated selection of sparklers from today’s most popular jewelers. In their cases, you’ll find the organic, handcrafted wares of Misa Jewelry; coveted stacking bands from Anna Sheffield; and unique, architectural shapes from Jade Trau. And if none of these seem quite right, the sisters will design a custom piece just for you. 40 Waltham St., Boston, 617-292-0079, mflynnjewelry.com. Reserve velvet pillow, couch, and brass drum with marble top, all Peak Event Services. Georg Jensen “Cafu” glass vase, Bloomingdale’s. Digitally printed menu, Fête Collection. Entrusting a stranger to carefully nip and tuck the most important dress you’ll ever wear can feel downright terrifying. Ready for some good news? This Newbury Street tailor specializes in bridal gowns, tackling adjustments big (neckline reshaping) and small (simple hemming) with equal aplomb. The shop also touts a full roster of general alteration services, so you can feel confident referring the rest of your wedding party, too. 138 Newbury St., Boston, 617-236-1984, allfittailoring.com. When it comes to navigating brides and grooms through the world of paper goods, Fête Collection is in a league of its own. 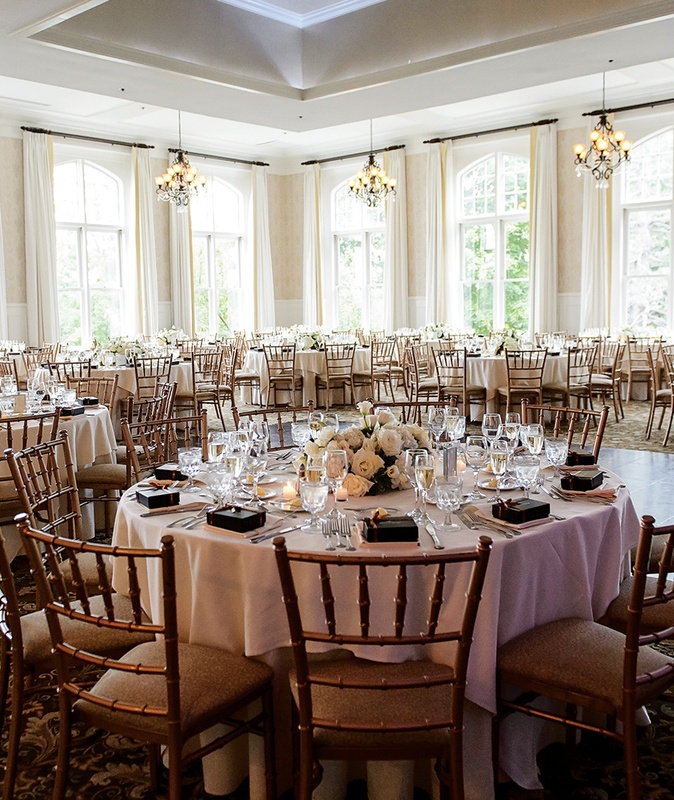 Co-owners Julie Pike and Eileen Sherman have serious experience with the etiquette, timelines, and wording of a full invitation suite, not to mention the design decisions that go into creating guests’ first impression of your big event. And it doesn’t stop with stationery: Fête can create custom napkins, coasters, labels, or even maps for your welcome kits. 345 D St., Boston, 857-496-1350, shopfete.com. Local calligraphy options were once separated by the old guard and the new: traditional Victorian script or Pinterest-ready brush lettering, with no in-between. Thankfully, Paperweight owner Amberly Wallace marries the best elements of both genres, blending the elegance of pen-and-nib lettering with a modern, fluid style all her own. No matter if you’ve got a standard request or a creative challenge, Paperweight is an unmatched choice for any occasion. Nothing says “premier event” like seeing one of Peak’s white trucks parked outside a venue. 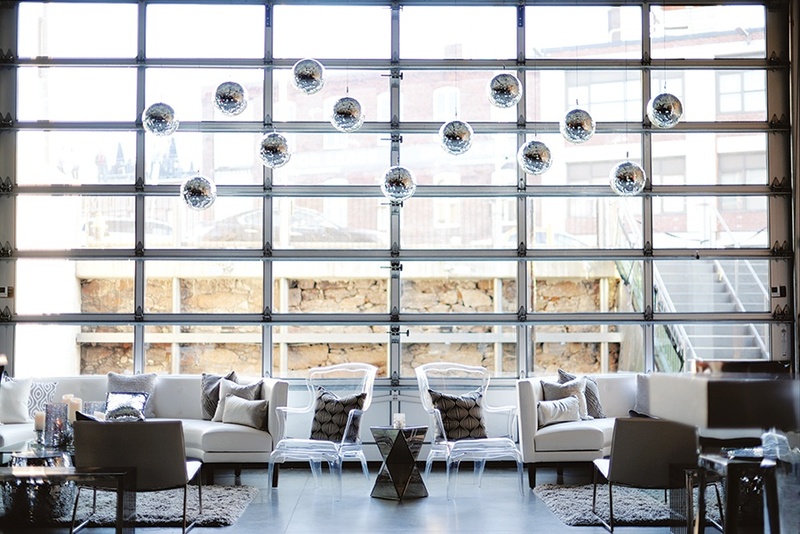 This powerhouse rental company simply has—and does—it all: Backed by a support team offering everything from day-of installation and coordination to a 24/7 answering service, Peak draws on its vast collection of furnishings and tabletop accessories to summon black-tie glamour, boho magic, or waterfront serenity (and any combination thereof) to your celebration space. Georg Jensen “Cafu” glass vase, Capdeco “Marat” stainless steel flatware, L’Objet “Alchimie” earthenware dinner plates, Michael Aram “Driftwood” stainless steel salt-and-pepper set, Kate Spade “Charles Lane” double Old-Fashioned glasses, and Moser double Old-Fashioned glass, all Bloomingdale’s. Foil-stamped invitation and digitally printed card and envelope, Fête Collection. Anna Sheffield “Celestine Tiara” 14-karat-yellow-gold band with diamonds, “Tiara” 14-karat-rose-gold band with diamonds, and “New Moon” 14-karat-white-gold band with diamonds, all M. Flynn. Choosing goodies for your wedding wish list isn’t as easy as it sounds. The dishes, the linens, the flatware—where to begin? Bloomingdale’s demystifies the selection process, offering handy shopping guides—not to mention a dedicated team of registry consultants—to steer you toward items that match your lifestyle and aesthetic. Cast-iron Michael Aram dinnerware for the urban industrialist? Check. A cherry red KitchenAid pasta maker for the foodie? Check. With myriad options for home goods, honeymoon-friendly luggage, and more, you’re bound to find more than a few things you need and love. The Shops at Chestnut Hill, 617-630-6000, bloomingdales.com. Ready for your close-up? Specializing in custom open-air photo booths, Pose can create an elaborate movie-set feel with professional lighting and Old Hollywood props—like a romantic makeshift balcony—or keep it simple with a backdrop covered in fresh blooms. Bonus: The booths record 10-second video clips with each session, so you’re bound to capture bloopers that will keep you laughing long after the big day. 15 Channel Center St., Boston, 617-439-3900, poseypose.com. You deserve an entrance as stunning as your gown, and when you choose from Black Tie’s extensive fleet of limos, sedans, and luxury SUVs, that’s exactly what you’ll get. Why not arrive in a timeless Rolls-Royce Silver Cloud, or pop champagne in the company’s custom-built trolley with your wedding party? Chauffeurs treat you like royalty, stopping around the city for impromptu photo shoots and assisting with hotel checkout. Drivers also shuttle out-of-town guests from the airport, ensuring that no one will miss your newlywed debut. 25 Bond St., Haverhill, 800-624-9990, blacktielimo.com.